Maruti Suzuki has started using the railways for long distance transport. 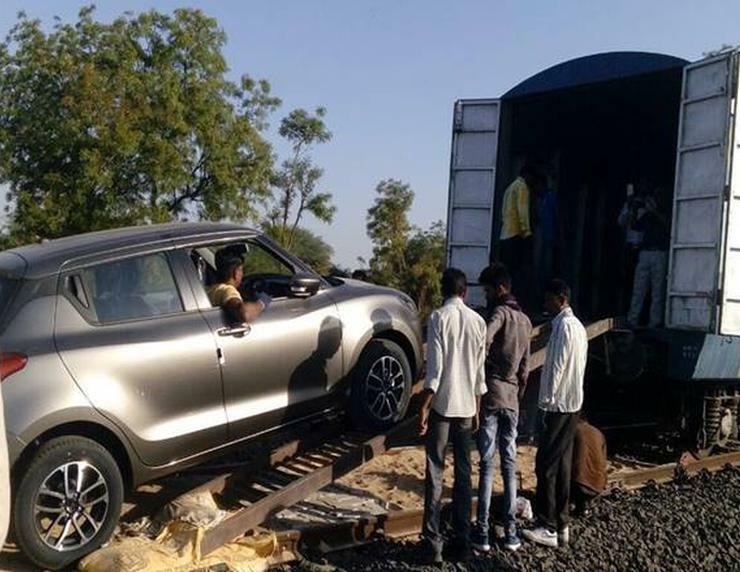 The all-new Maruti Swift is the first car that Maruti has transported using railway coaches. The automaker has just sent 125 Swift hatchbacks to Bangalore, from its Gujarat factory through 25 coaches of Western Railways. Yesterday, the train left Maruti’s Detroj factory in Gujarat to a place called Nidvanda in Bengaluru Division of South-Western Railway, a distance of 1,716 Kms. Using railways could be more cost effective and faster than using the road. The chances of damage to cars during transit is also lower through railways rather than using trucks that ply on the highways. With the GST in place, more car makers in India are expected to use railways for transporting vehicles. In this way, the Indian government-run railways may also be able to turn profitable. This initiative is a great beginning for the development of industry and Gujarat state for making it a hub of car production in near future. From transporting autos to Amul butter, Indian Railways gives you the most economical, safe, timely and environment friendly transportation. Adopt it today! The all-new Swift is Maruti’s latest car. Launched in February, the Swift has already amassed over 1 lakh bookings. Maruti expects to sell about 20,000 Swifts each month, at least initially, due to the high demand for the car. Prices of the Swift start from less than Rs. 5 lakhs, making it quite attractive to a large segment of the market. Maruti will also export the India-made Swift countries around the world. The car is built at Maruti’s Gujarat factory, which will be exclusively used for the new Swift for the next couple of years in order to meet the high demand. Maruti sells the Swift with petrol and diesel engines. The car, for the first time in India, is available with manual and AMT options. « Rolls Royce cars: 10 biggest myths BUSTED!